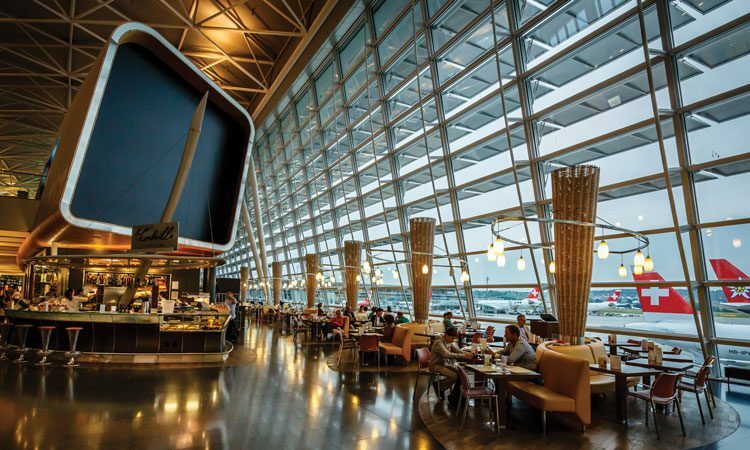 Airports have evolved significantly over the past decades; from functional hubs to multimodal service centres. In order to ease the use of these platforms, new technologies have been implemented under the umbrella of ‘seamless travel’, including self-service kiosks (CUSS), automated gates and automated bag drop facilities. However, where the seamless travel concept focuses on processes, airports have shifted their focus to the passenger with the goal of gaining customer loyalty to increase sales figures and help differentiate from competitors. With this in mind Zurich Airport has introduced STEP (the Seamless Travel Experience Programme). Head of Aviation Planning & Engineering, Giovanni Russo, reveals how STEP links the airport’s work in seamless travel and passenger experience. The first seamless travel initiative at Zurich Airport, besides eTickets and Swissair self-service check-in kiosks, was implemented back in 1999 with Swissair’s Fast Track initiative. This allowed frequent travellers to omit check-in (with a carry-on bag only) and to make use of automated border control units. This was prior to the Schengen Agreement, which abolished border control at mutual borders in European countries in the Schengen Area. In 2006 Zurich Airport and its home carrier, Swiss International Air Lines, decided to launch a seamless travel programme, which was sponsored by the COOs of both companies. The goal was to ease travel for passengers; to automate the passenger process; and to reduce operating costs. This programme delivered CUSS check-in kiosks in 2006; automated gates for boarding and boarding pass check points; pre-boarding areas; one-stop shop security procedures; and trials with self-service bag drops and automated border control – this time under the Schengen regime. At the beginning of this decade airports began to focus on ‘passenger experience’, which of course includes the idea of seamless travel. 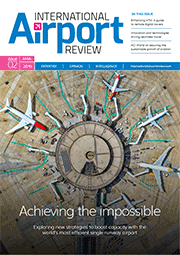 Zurich Airport followed this trend and contributed in several IATA and ACI Europe working groups on the subject. In June 2014 ACI Europe released the Guidelines for Passenger Services at European Airports, with a strong focus on passenger experience during the airport journey. The report provided a broad overview of the complex contractual setups at airports and proposed a new approach to categorising passengers from an airport perspective; complementing the basic categorisation from the airline’s perspective into the fare classes and customer loyalty programme status. For airports, attributes such as the number of people, process (inbound/outbound) and behaviours (long/short stayers and/or travellers) are important to assess tailor-made products. The passenger experience is influenced by many aspects, ranging from cleanliness, to process efficiency, to the actual architecture of the airport. One of the core principles in the ACI guidelines is the pyramid of passenger perception levels: starting from required level (bare minimum/meeting regulations); over the expected level (airport’s conceived image); to the valued level (wow-factor). Obviously, experiences affecting the valued level are most positive for passengers and allow airports to achieve the best differentiation from competitors. 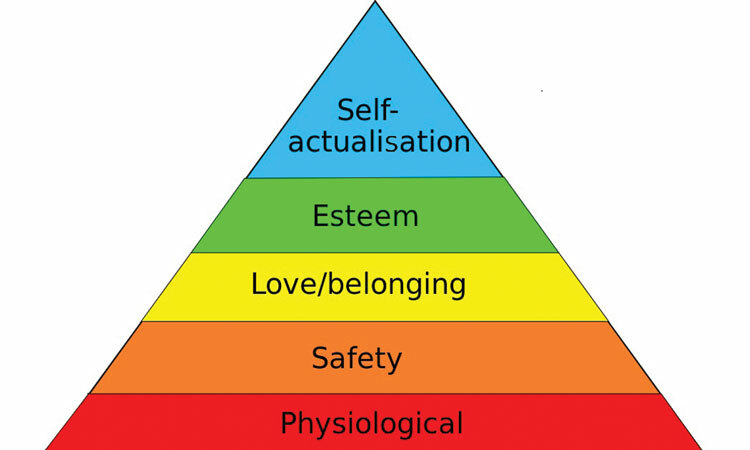 However, as in Maslow’s hierarchy of needs (Figure 1), higher experience levels can only be satisfied if the lower levels are fulfilled. For example, there is no value in offering free Wi-Fi (an expected value) if the airport premises are not reasonably clean (a required level). The categorisation of items affecting passenger perception is not given per se but may change over time. Wi-Fi, for example, used to be a valued feature some five years ago, but is an expected service nowadays. Since 2004 Zurich Airport has repeatedly been awarded the ‘Europe’s Leading Airport’ accolade by the World Travel Award organisation. However, in order to continue with this accolade the airport’s appearance and service offerings must be considered holistically. STEP was established to help influence passenger perception. The programme collects ideas from various activities and initiatives such as seamless travel, future airport technology, passenger experience, airport service quality surveys, staff proposals and various marketing activities, including mobile apps, customer loyalty and eCommerce. The STEP working group meets on a regular basis, under the lead of terminal engineering, to identify ideas that support seamless travel and affect passenger experience. The working group reports to the executive board to initiate implementation projects, using the regular company project management process. In order to properly manage the considerable amount of information a ‘Kanban Board’ is used. The basic idea of this method, which was initially developed for production planning, is to visualise the work flow and ensure that too many items aren’t on work in progress (Figure 2). All ideas are noted on a card which is then placed on the board in the ‘pool’ section. Whenever the number of selected projects is low, or under management decision, items from the pool are selected and a brief description of the idea with a valuation of the impact on customer satisfaction, differentiation, process optimisation and passenger perception, is established. In a next step, positively valued ideas are injected into the corporate project management process, with a project initiation request. If this request is approved the Kanban card is moved into the ‘ongoing’ section. With that the STEP working group responsibilities are limited to progress tracking and shifting the project to the ‘implemented’ column, once the project has been completed. There is of course no need for a physical Kanban Board. The principle can easily be implemented electronically in regular office documents, or using dedicated software, with additional item furthering collaboration in and across teams. For the valuation of the impact on passenger perception in the description sheet and subsequently in the fact sheet used in the corporate investment process, the above described ACI Europe guidelines on the passenger experience have been consulted and the pyramid of passenger perception levels applied. This tool facilitates the discussion on return on investment that is usually based on financial figures, which are generally not available when investing in passenger experience. The first deliveries of STEP (i.e. ideas that have been collected and processed according to the STEP process) can be found in Pier E – these well-feeling areas aim to improve the passenger process with information on waiting times at security being provided to our passengers via the mobile app and passenger information screens, as well as a passenger terrace in the transit area. In order to keep track of all innovations within a STEP context, already completed projects – such as self-boarding gates, digital information points, mobile charging stations and many more – have been inserted on the Kanban Board. STEP allows Zurich Airport to generate, bundle and systematically process ideas that influence passenger perception across the organisational structure and respect regular investment processes. The use of the Kanban method and the ACI guidelines for passenger service have proven to be efficient and effective and allow for transparency and rational discussions. Giovanni Russo has 25 years’ experience of both civil and military aviation. After his military service as air traffic controller, he joined civil air navigation service provider skyguide to become an en-route air traffic controller in both Geneva and Zurich. Meanwhile, he studied mathematics and computer science at Fernuniversitaet Hagen (Germany) and received an aviation MBA at Concordia University (Montreal, Canada). He subsequently held several management positions within skyguide before joining Zurich airport’s operator at the end of 2008 as Head of Planning and Engineering. Giovanni represents ACI-Europe in the Network Management Board; furthermore he is Vice Chair of the SESAR Deployment Airport Grouping Steering Group.